The incidents came to light after both the individuals moved the high court seeking protection as they apprehended threat to their life owing to separate PILs filed by them. 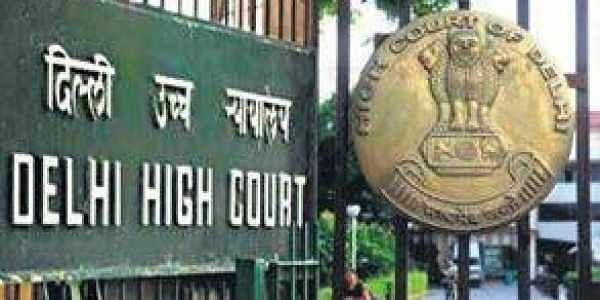 NEW DELHI: A litigant cannot be put at peril because he or she has raised a public cause, the Delhi High Court has said taking note of a recent assault on two persons, one an elderly woman, who filed PILs against unauthorised constructions and encroachments in the national capital. "The life of a litigant cannot be imperilled merely because he or she has brought a public cause to the notice of the court", a bench of Acting Chief Justice Gita Mittal and Justice C Hari Shankar said while directing the Delhi Police, through separate orders, to provide protection to both of them. The first order was passed on November 2 in the case of H D Nijhawan, general secretary of NGO Paardarshita Public Welfare Foundation, who claimed before the bench that he was brutally assaulted by some persons outside his residence on November 1 evening. Nijhawan, with his head wrapped in bandages, told the court that the assailants smashed the front and rear windows of his car and hit him on the head with wooden stems and one of them also took out a gun to shoot him. The NGO has filed several PILs in the high court against unauthorised construction in various parts of the city, including Sainik Farms here and has alleged that such illegal buildings come up with the active connivance of officials of the municipal corporations and Delhi Development Authority (DDA). The woman litigant, who was assaulted and provided protection by the bench on November 14 is Marina Torchia Batra who has filed a PIL alleging encroachment of the forest land near village Neb Sarai, Indira Enclave in south Delhi. She was "rudely assaulted" on November 12 near her residence by three persons who came on motorcycles, an incident which the bench termed as "distressing". She had suffered injuries on her face and was limping when she told the court about her plight. In her PIL, she has objected to the construction of a road through the forest area to provide access to Indira Enclave which is allegedly an unauthorised colony. In her plea, she has also raised the issues of dust generation in the area due to the movement of two-wheelers and other vehicles through the forest road, apart from dumping of garbage and debris there which, she claims, choked the soil and contaminated the ground water. She has also claimed that the forest area has become a den of criminal activities like snatching and bootlegging. In both cases of assault, the high court has directed the police to "conduct a prompt investigation" and "bring the culprits to book".